Granddaughter Christmas card with the fold across the top, comes with a beautifully decorated envelope. 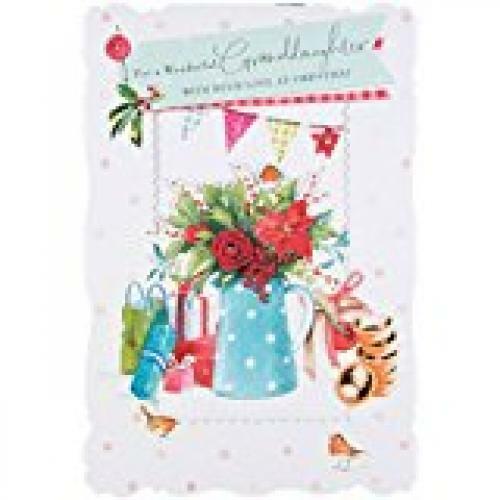 The wording inside reads "Having a lovely granddaughter like you is the perfect reason to celebrate at Christmas time. Happy Christmas".